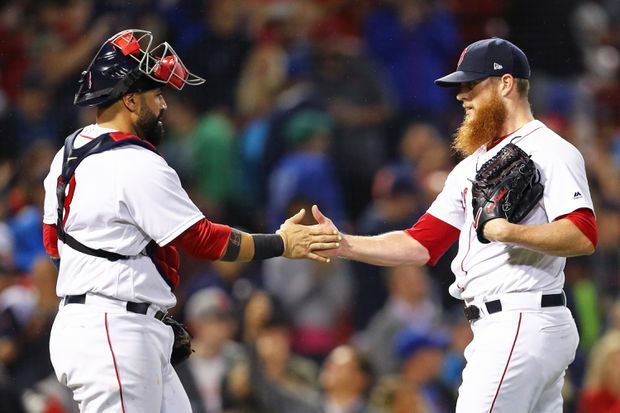 Boston Red Sox closer Craig Kimbrel celebrates with catcher Sandy Leon after the Sox defeated the Toronto Blue Jays at Fenway Park, in Boston, Ma., on Sept. 12, 2018. Steven Wright pitched the eighth and Craig Kimbrel got three outs for his 39th save to lower Boston’s magic number for clinching the AL East to eight. The second-place New York Yankees played Minnesota later Wednesday night.